The BTC/USD hits a low of $4,212 and eyes $3,500 in the next few days. The XRP/USD panics below $0.41 but recovers $0.45 amid high uncertainty. The ETH/USD marks a trough at $125 and could move below $100. If Hollywood creates the script of what’s happening on the Crypto Board, they wouldn’t have done any better. When it seemed that the story had a hero called Ripple, untouchable and immutable to his environment, the scene begins where the saving hero on which the civilization of Cryptocurrencies depended falls and exposes its weaknesses. 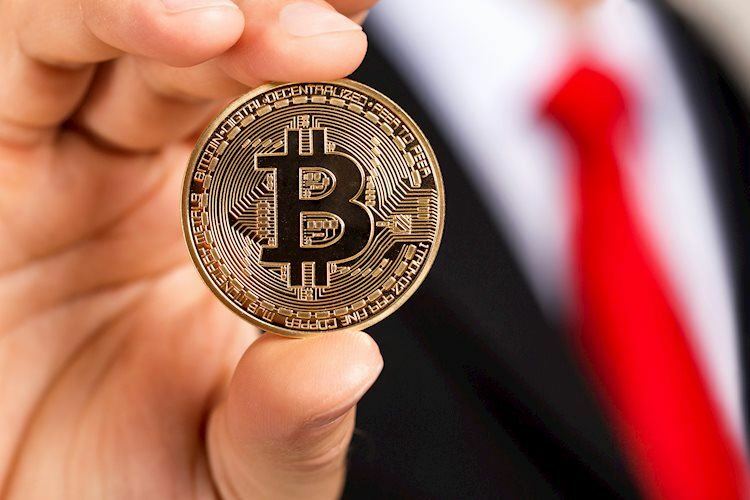 After a first attempt by the BTC/USD to the $5,000 price level through the American session was rejected, a new attempt hours later has broken forcefully that level and reached $4,600. We saw the same with ETH/USD, once drilled at the psychological level of $150, it reached $137 in the Asian session. In the short term, the indicators that we will see in the detailed analysis invite us to think about a possible short-term rebound in the next 24-36 hours. This rebound would initiate the process of rotating the charts in the daily range. However, we are going to see new lows, levels unthinkable two weeks ago. My personal opinion is that at that point, with practically all hands weak and empty, the strong hands will enter the market with full steam, buying a selection of assets that will probably leave some cryptocurrencies in the mud and lift others’ heads. However, the Crypto board will have changed hands, or whales, forever. The BTC/USD is currently trading at the $4,432 price level, drawing a chart that looks very scary. The drop is extreme and except for a slight recovery after piercing $5,000 yesterday, the comeback didn’t last long, and sellers have come back strongly. The plummet takes away any level of buying if there is anyone still in the market trying to catch falling knives. With this violence, it is most likely that any rise is merely a closing of short positions than a movement of real accumulation. The price reductions are in their early hours, and there are still a few days left until Black Friday. Below the current price, the first support for the BTC/USD is at the price level of $3,930 (support for price congestion). The second support awaits at $3,250 (price congestion support) and the third support level at $2,900 (price congestion support). These are levels that represent wild drops in percentage terms and that, if they occur, would raise a whole series of comments about the very survival of this market. Above the current price, the first resistance to consolidate at the current price level is $4,400 (price congestion resistance). If the BTC/USD manages to hold and close above this level, it will begin to consider it as a support point for the first considerable pull-back of the current bear storm. The second resistance level is $4,918 (price congestion resistance) and it may stop the brief bullish attempt done yesterday. The third resistance level at $5,381, is a confluence of the long-term down channel baseline, a price congestion resistance and a few dollars above the EMA50. The MACD at 240-Minutes shows a profile of strong bearish inclination and with lines very separated. Momentum continues to be strongly bearish, and it may still take quite some time to see a rebound of some intensity. The 240-Minute DMI shows how bears have absolute control of the situation. They mark levels above the 50th level of the indicator, a level considered as a healthy trend. On the other hand, the bulls give up and move for minimum standards that, if only for extremes should react to the rise. The ADX responds to downturns by increasing its trend level to levels not seen since December 2018. Ripple is the hope that holds firm the conviction that there is a future in Cryptocurrencies at this time, and seeing it plummet has raised doubts throughout the Crypto ecosystem. Below the current price, the first support is in the long-term trend line coming mid-September at $0.44. The second support at $0.429 (price congestion support) would take the XRP/USD out of its bullish scenario and into the same bearish chaos scenario as Bitcoin and Ethereum. The third support at $0.413 (price congestion support) would be the last hope for a fall to $0.367 (price congestion support). Above the current price, the first resistance is at the price level of $0.48 (trend line leading the movement from lows). If the XRP/USD can exceed this level, the second resistance at $0.505 (price congestion resistance). The third resistance level is at $0.584 (price congestion resistance) holds the key to a strongly bullish scenario that would aim to exceed $1 quite easily. The MACD at 240-Minutes has cut down the zero line, currently losing that important support and forcing to consider bearish movements in the near future. The opening between lines is minimal for now. If the price were to rise it would leave a divergent formation of a strong bullish component. On the contrary, price declines would deepen the bearish side and we could see really strong declines. The 240-Minute DMI shows us that bears are taking advantage of the ADX line, which would indicate a continuation of the price decline. The bulls decrease their activity but far from the minimum levels. The ADX reacts to the recent declines but in trend levels considered as moderate. The ETH/USD is currently trading at the $132 price level after leaving the minimum fall in support of the $125 price level indicated a few days ago. I don’t consider that the drop is going to stay here, but it is possible that from this level there will be a small rebound in the next 24-36 hours. Below the current price, the first support in the already commented level is at $125 (support for price congestion). The second support at $94 (price congestion support), would break the mythical barrier of $100 and would cause the headlines of the best horror movies. However, this could only be the headline since terror would be in the third level of support at $80 (price congestion support). In the edited FXStreet Chart you can see more levels. Above the current price, the first resistance is at $155 (price congestion resistance). The second resistance is at $170 (price congestion resistance). Finally, as a third resistance, the EMA50 at $178 meets the fourth resistance at $180 (price congestion resistance). The MACD at 240-Minutes shows a very downwardly inclined profile with very open lines. This structure protects the continuity of the descents at least for today. The 240-Minute DMI shows us a situation similar to that seen in the BTC/USD. The bears go to maximum levels while the bulls retire and show us no intention to enter the game. For its part, the ADX reaches levels not seen since December 2018 and support the continuity of direction and strength of the movement.